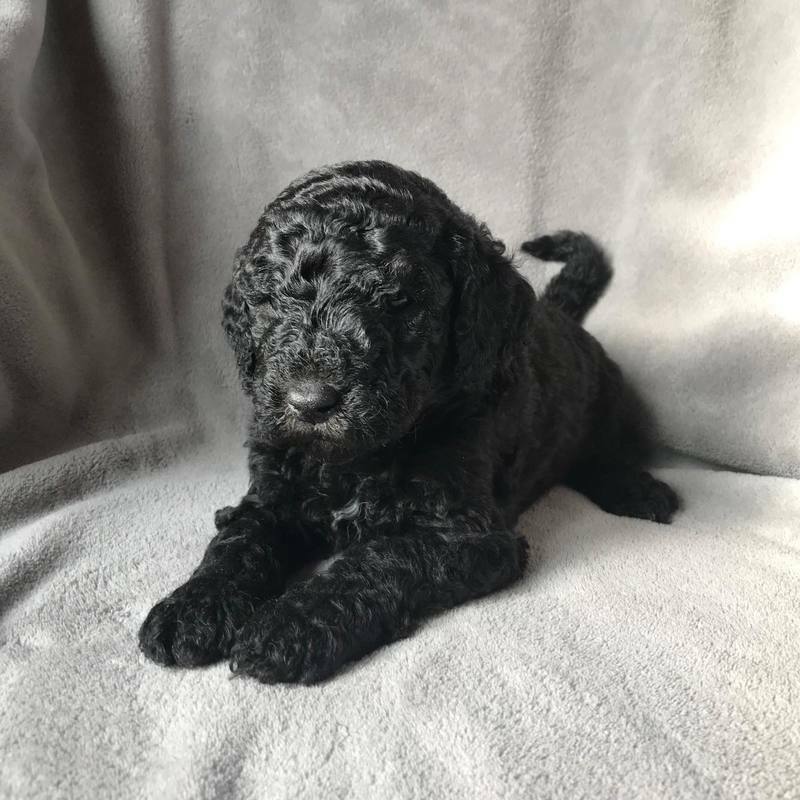 While your puppy is here with us, he or she will begin potty training as well as learning how to be a perfect addition to your family. 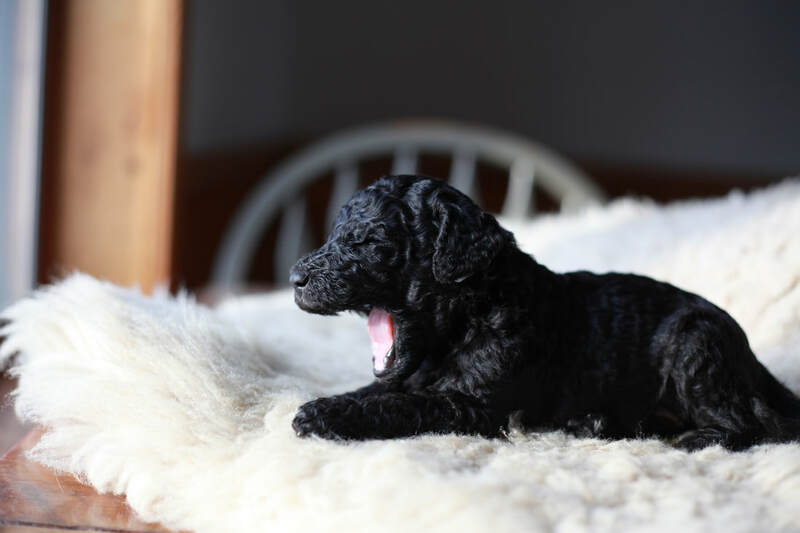 Our Goldendoodle puppies come in a variety of colors and coats--we have Golden, Cream, Chocolate, Buckskin, Brindle and Black puppies. Their coats range from wavy-straight to extremely curly, so no matter which color and coat you are hoping for, you'll definitely have a selection to choose from! 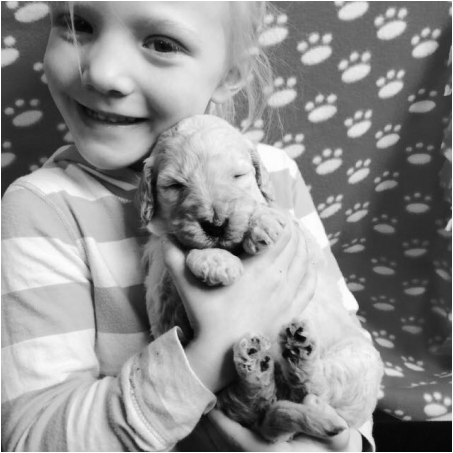 Our Goldendoodles will come to you with a vet-certified health certificate and their first set of shots! Contact us via our contact form to learn more about the adoption process for your sweet puppy! 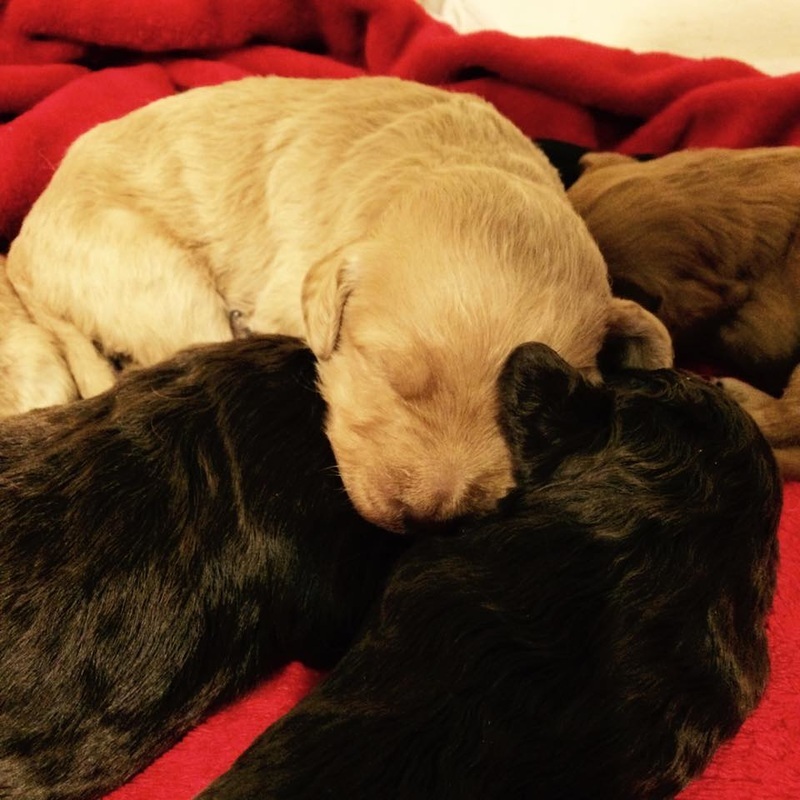 We have a 1-year health guarantee for our puppies against any congenital health issues! 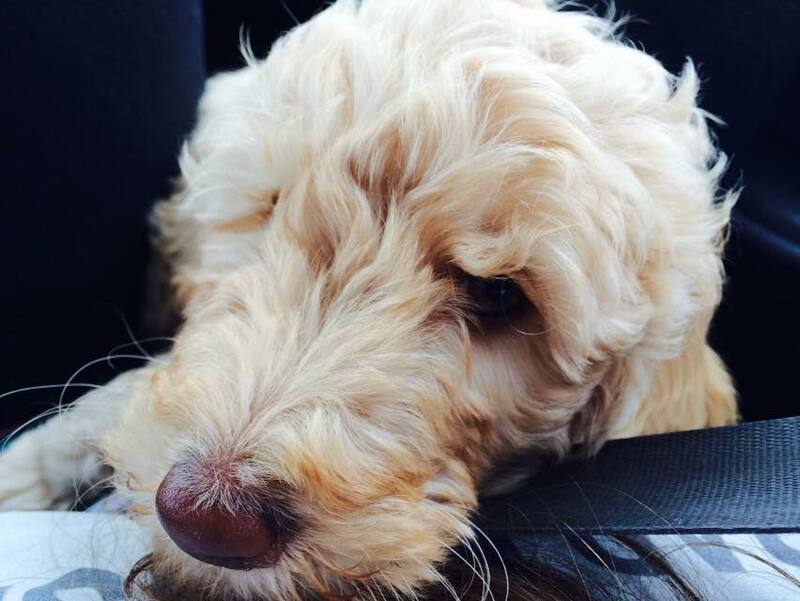 Matt adopted his first goldendoodle, Lucy, from a local breeder when he was in high school. 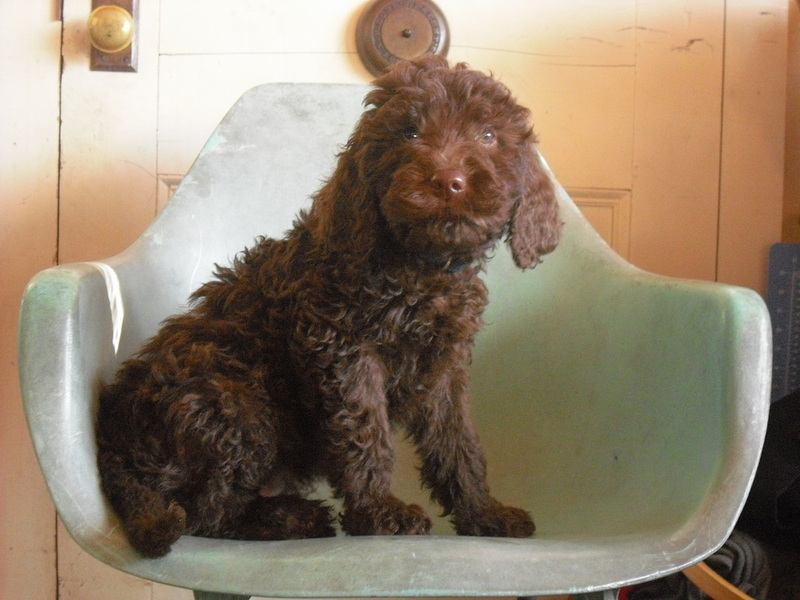 He began Adirondack Goldendoodles in 2011 when Lucy was old enough to be a mama! When Lucy had her first beautiful litter of puppies they were welcomed by Matt and his entire family. The pups were loved, held, cuddled, and trained in preparation for their forever homes and families. ​She was a phenomenal mama, and never happier than when she was surrounded with her babies. Lucy is now retired, and her daughter Jazzi has continued her legacy! 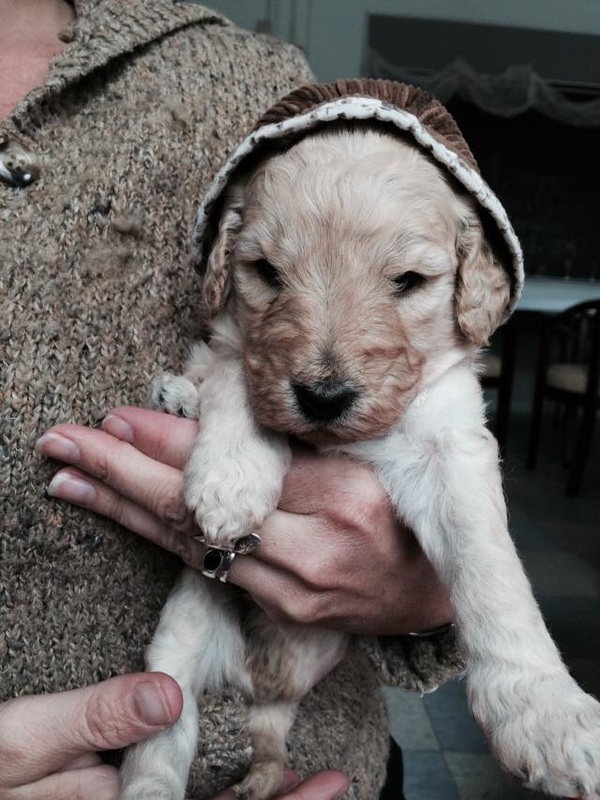 Baby Coconut in her bonnet! Bow, one of our fluffy babies.